Queensland Glass is set to call the Southern TradeCoast home in what is the second 5,000sqm plus lease deal for the precinct this year. JLL Senior Negotiator Industrial Mr Chris Davis finalised the deal, after working closely with Queensland Glass for four years. 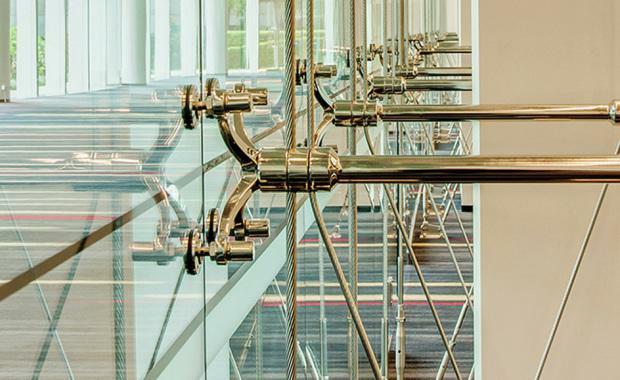 “Queensland Glass is expanding and will relocate from their current 3,000sqm facility in Tingalpa to 265 Queensport Road in Murarrie,” Mr Davis said. The engineering factory on site includes two 10 tonne and two 5 tonne gantry cranes servicing the entire workshop with multiple 1 tonne cranes throughout. They are unique and specialised assets of the site, which is fully sealed and also enables drive around and drive through capabilities with dual crossovers and excellent car parking. The 1,782sqm office space has recently undergone a full refurbishment providing a high quality fit out and excellent staff amenities over two levels. The property is situated within the Rivergate Estate in the established industrial suburb of Murarrie which is a premier city-fringe alternative ideally located within close proximity to Brisbane’s Air and Sea Ports.